» Are You Seeking Military Long Distance Relationship Advice? Military couples go through an unrecognized heartache that few can relate to. 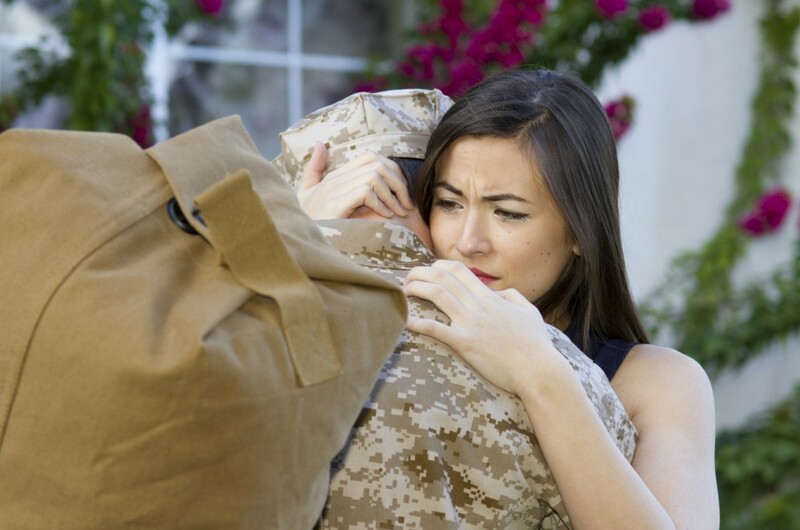 When a loved one leaves for war there really is no telling if he or she will ever come home, and the last thing they should be worrying about is whether or not their spouse or loved one will stick by their side. Military long distance relationship advice is sought by many and followed by few. Far too many “Dear John” letters are sent and received everyday by active military personnel on the battlefield. This can cause extreme emotional distress and heartache. Hope is not lost though; many couples make it through such hard times by following military long distance relationship advice. It may seem like a daunting task, but it really isn’t all that challenging with the right help and tools. Distance in general carries a lot of fear with it. There is an overwhelming sense of dread with the thought of so much separation. Not to mention longing for affection, getting lonely, or fearing the worst. These are all emotions that distance can trigger. The key is to bridge the gap emotionally; even when it is impossible to be together physically. Romantic letters can be lifesavers when it comes to long distance relationships. It’s an even better idea to keep each other’s letters so when you hit rough patches you can go back and read the letters again. It can brighten a cloudy day when you read an old love letter, and for soldiers on the battlefield they are like small nuggets of gold from home. A surprise love letter can boost a soldier’s morale from down in the dumps to “OOOOOO-RAAH” READY to GO. The military long distance relationship advice wouldn’t be complete without mentioning video chatting. Video chatting can bring two people together into the same room – who are on opposite sides of the globe, and nowadays most warzone bases do have at least one video chat enabled computer available to the soldiers. Many long distance military relationships swear by video chatting as a means of comfort as well as ordinary communication. The added fear of death and ultimate separation is something only other military spouses can relate to. This is exactly why it is a great idea to start forming a support group; people who can relate to the situation your relationship is in, and help you cope. In good times as well as tough times it’s wonderful to have a support group there to help you get through the distance and the stress. Long distance relationships are hard to begin with, but when you start talking about military long distance relationships they are in a whole league of their own. The hardships that military couples have to endure for each other are amazing to say the least. From the outside it seems impossible. It may seem like an impossible task at times, but it is doable when you follow the correct military long distance relationship advice and apply it correctly.